Bonneville, of the Naturally Aged Flooring Medallion Collection, evokes imagery of ocean-soaked wood set adrift on a balmy summer day. Featuring a white washed oak with an acid bleached look, reminiscent of the Bonneville Salt Flats for which it’s named, and time worn texture, this unique and beautiful hardwood flooring offers a welcoming, lived-in look. A wider plank size emphasizes the unique quality and character of your wood floors. 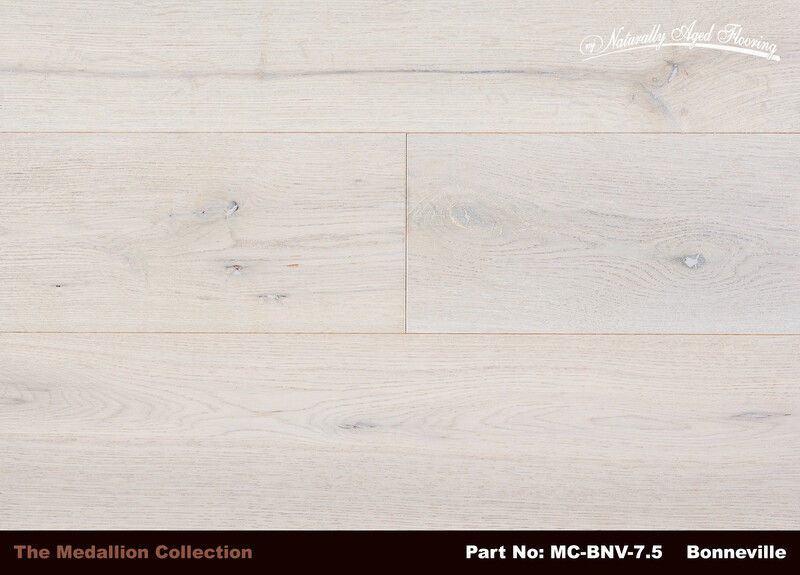 In Bonneville’s large 7-1/2 width boards, the rough-hewn grain of white oak is both accentuated and softened, thanks to its velvet off-white tones, making it the perfect flooring choice for a relaxing get away or a go-to spot for entertaining with friends. Every board of Bonneville is individually selected and wire brushed for consistency. Gaps and knots are filled with a light tone, matching filler to complete the softness that Bonneville adds to any room. Each board features a dusty amber edging that brings attention to the wood planking of your design perfectly complementing the overall look and feel. Bonneville, like all of Naturally Aged Flooring’s wood flooring products, can be floated, stapled, glued or nailed down, making Bonneville a preferred choice for most every installer. All Naturally Aged Flooring wood stains are baked into the wood making the color a permanent feature to your floor. A durable, low sheen, UV Polyurethane finish over a 3mm wear layer makes Bonneville a lasting choice for years to come. 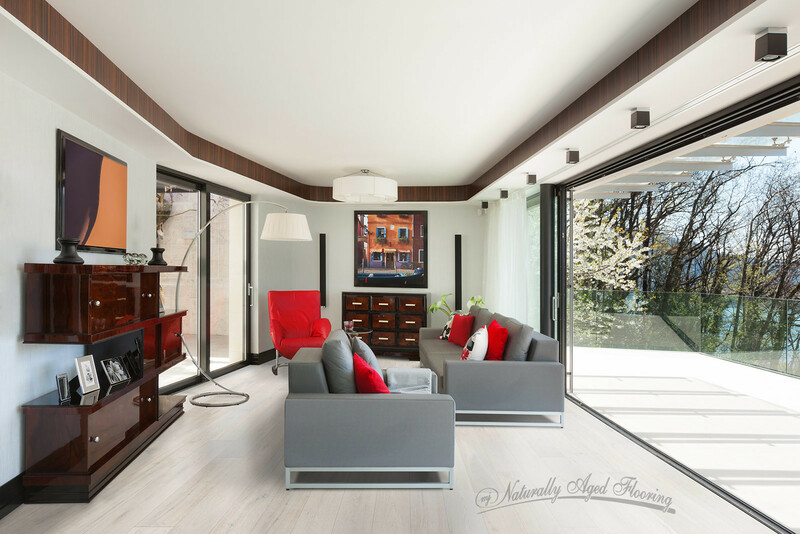 Naturally Aged Flooring’s Bonneville is a peaceful option for most any design imaginable, bringing an understated quality that will enhance the rest of your design elements. Soft hues combine with the natural movement of hearty wood, enveloping you like a warm towel after a cool ocean swim, making Bonneville a smart selection for any home, office or recreational space.